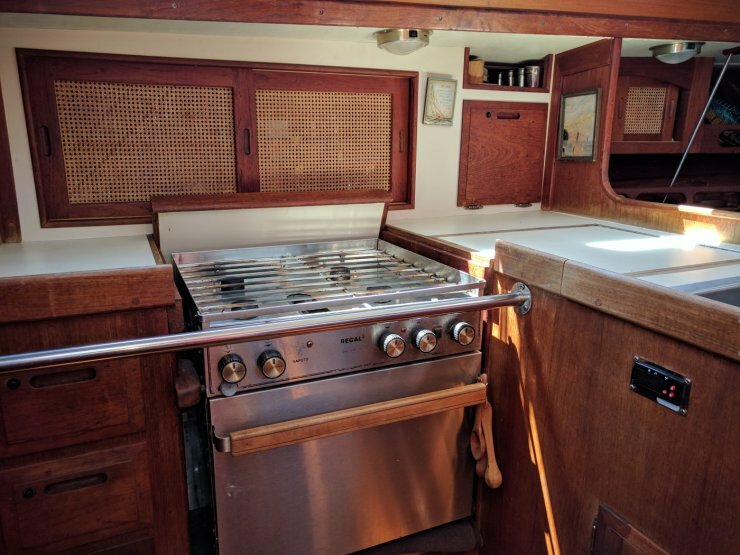 Boat is located in Charlotte,Vt.Please contact the owner @ 802-922-6244...It’s time for us to sell our beloved Ericson 38-200. 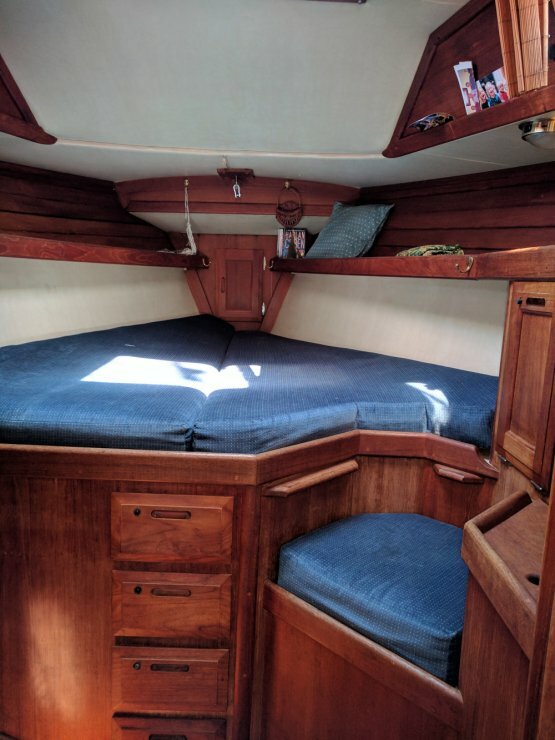 She was built in 1990 by Pacific Seacraft. We are only the second owners, bringing her to Lake Champlain from the Chesapeake Bay in 2004. This Bruce King design is the classic cruiser/racer. She’s both comfortable and fast. 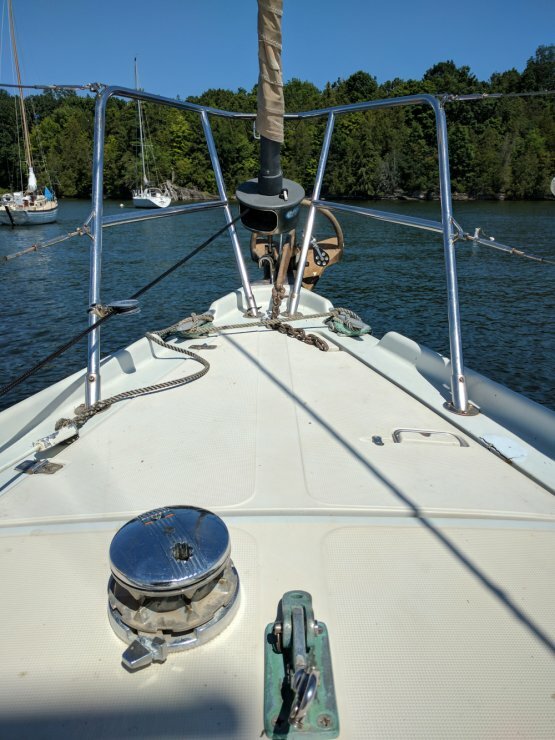 A wing keel and 5′ draft makes her the perfect Lake Champlain boat. We outfitted her for a trip to the Bahamas in 2010 so there is Frigoboat refrigeration and an AirX wind generator to power it. A Rocna anchor with 100′ of chain and manual, horizontal windlass to haul it makes for restful nights and easy anchor retrieval. Wings has a retractable forestay that carries a storm sail which, with a reefed main, makes her capable of handling any weather. The main was new in 2010; the jib is older than that. An asymetric spinnaker is in great shape and comes with a chute and a spinnaker pole mounted on stanchions. Lazy jacks make dousing sails very easy. Her canvas is in good shape. Helm cover new in ’17, sail cover new in ’16, dodger new in ’10. 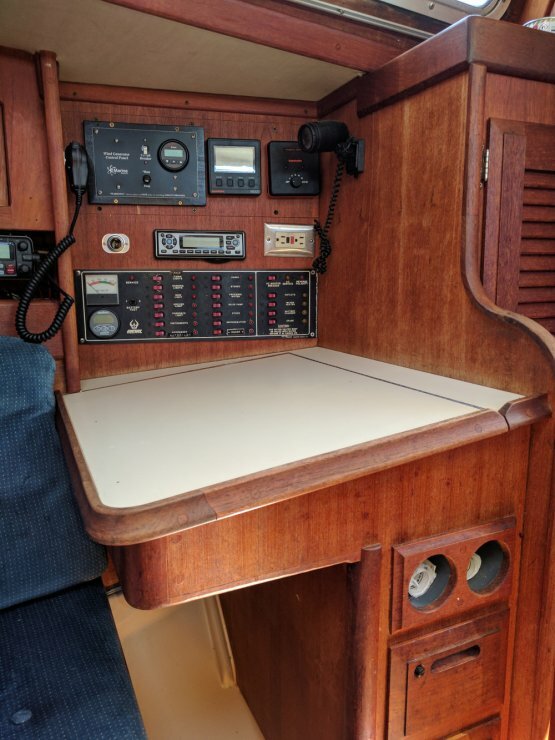 Bimini repaired in ’17. Cockpit cushions were new in 2016. 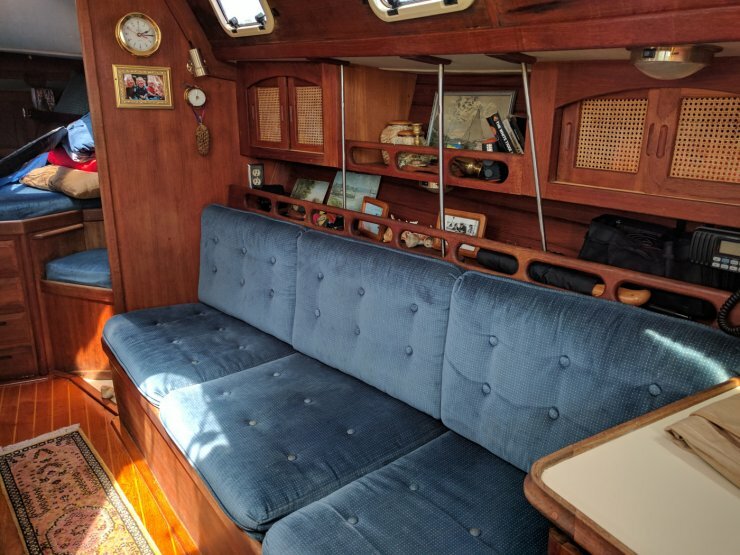 There are four house batteries under the starboard settee and an inverter for AC power. 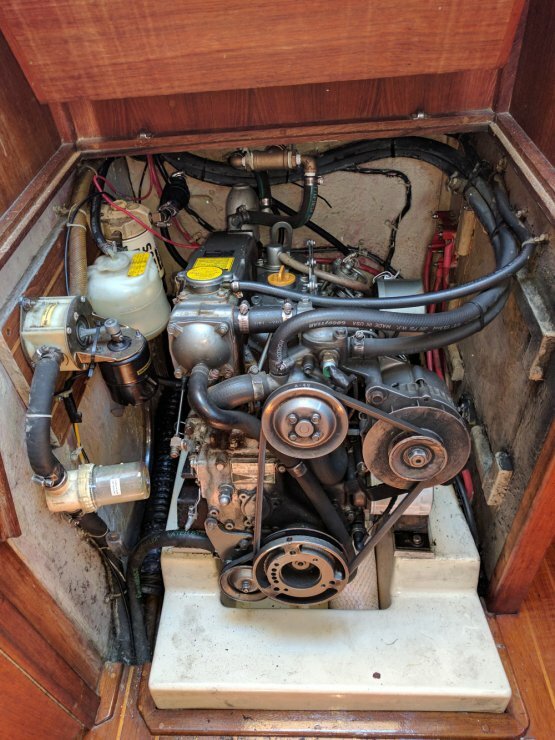 A separate start battery sits in the cockpit locker. We added a second battery switch that allows us to direct the alternator amps to either the house or starter batteries. Wings is easy to sail. Jib, storm jib and main halyards come back to the cockpit as do two reefing lines, the outhaul and traveler lines. 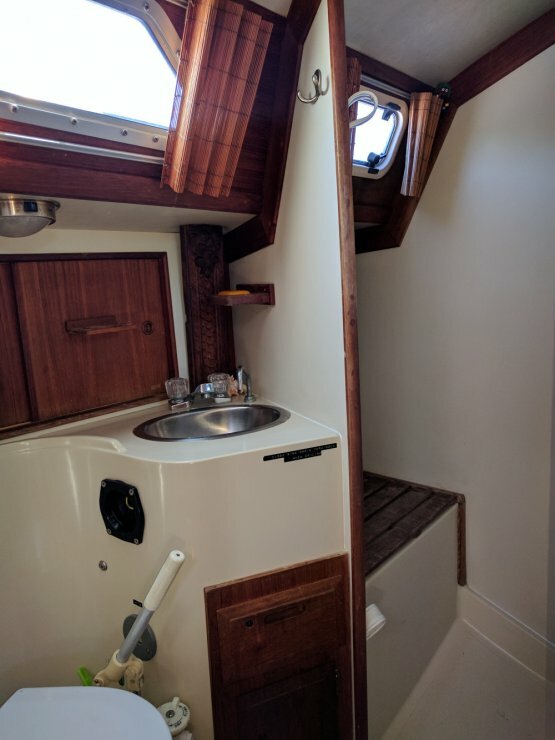 There is an aluminum 55 gallon fuel tank under the aft cabin berth and two fresh water tanks: 30 gallons in the main salon and 20 gallons in the cockpit locker. The holding tank is 25 gallons. Hull was painted with Interlux Perfection in 2012 and bottom was sanded and painted with Interlux CSC in 2017. The propeller is a fixed, 3 blade Campbell Sailer, custom designed for the Ericson 38, that produces plenty of propulsion with minimum drag. 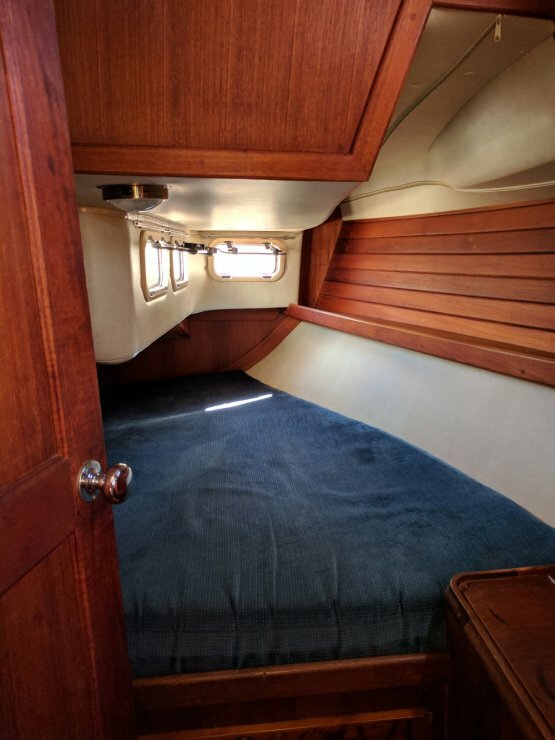 The V berth and aft cabin are private (with solid teak doors) and sleep two comfortably. 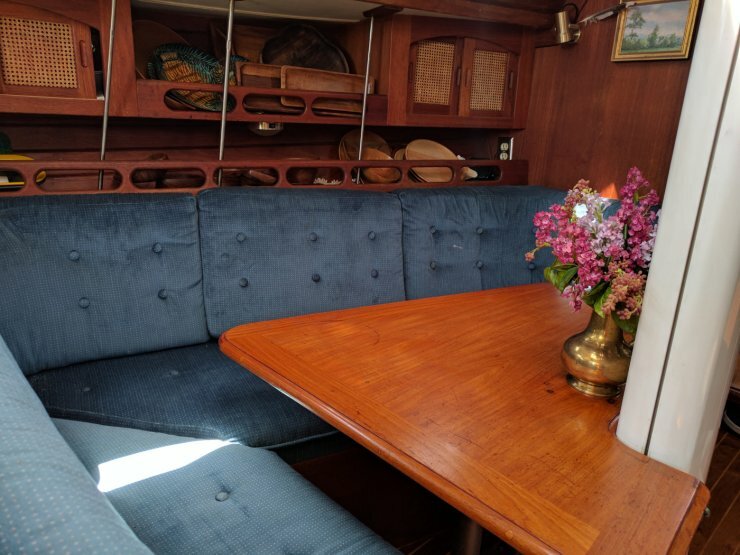 The table in the main salon drops to create a third double berth. With the starboard settee, Wings can accommodate 7. And when winter arrives, Wings has a custom made frame and cotton canvas cover. 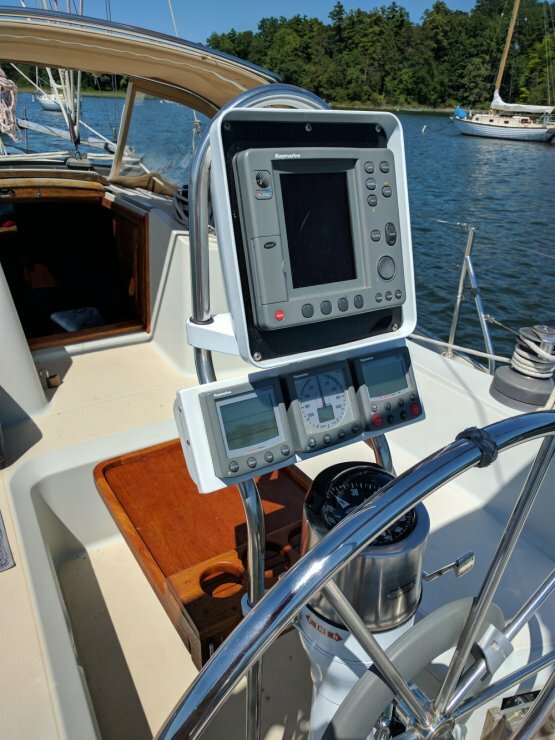 As we are moving to a power boat, Wings will come with a lot of accoutrements we won’t need such as a bosun’s seat and a sewing kit.